- "And you know... I always get what I want." - "We both know I can rip you to shreds and do my nails at the same time." - "Life is too cruel. If we cease to believe in love, why would we want to live?" 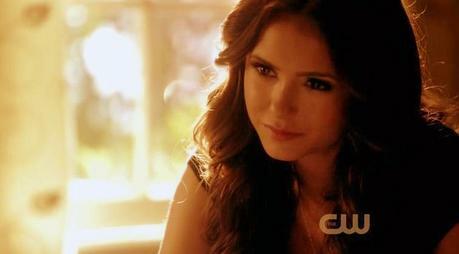 - "Mr. Salvatore, spying on a lady is a sign of very poor manners." - "Is it so wrong for me to want you both?" - "It's okay to love them both. I did." "I didn't let love get in the way." "It was her or me. I choose her." "You can hate me, but we both want the same thing. And you know.. I always get what I want." "I was looking out for myself. I will always look out for myself."